ELLNORA The Guitar Festival returned to the University of Illinois campus at Urbana-Champaign last weekend for its fourth biennial year in what has become one of the most anticipated and celebrated events in the “down-state” community. Named after the wealthy Illinois alumni Herman C. Krannert’s wife Ellnora, the festival takes place in the beautiful performing arts center that also carries the Krannert name. At Ellnora, sonic and architectural beauty combine and, for three days, shine a spotlight on the art and craft of the guitar. This year was no exception. The guitars at Ellnora came out in all of their varieties: classical, steel-string, electric, resonator, pedal and lap-steel. Cousins came along as well: double basses, ukuleles, banjos, mandolins. It should be no surprise, then, to mention that one of the festivals strengths is in its wide and often eclectic genre diversity. This also makes for lots of surprises. The ukes were played by a troupe of local elementary students, Sheryl Bailey’s jazz ensemble offered top-shelf improvisation, and there were silent film-score (and other less-traditional) performances from the likes of journeymen Lee Ranaldo, Marc Ribot, and Adrian Belew. Two artists have been with The Guitar Festival since it’s inception. Bill Frisell marked his return with the Krannert Center commissioned project titled The Great Flood. This collaboration with filmmaker Bill Morrison is staged around archival footage of the devastating 1927 Mississippi River flood and its aftereffects. Frisell’s interpretation of that footage ranged from the dreamy-if-technical avant-garde playing that he has become so well known for to rousing traditional jazz, and was punctuated by a trio of wonderful backup musicians: percussion, bass, and trumpet. His 2009 Disfarmer performance had been interesting but for some of us sleep-inducing. The Great Flood didn’t only keep me awake, it rekindled an interest in the historical moment as well as in the importance of archival film preservation. Dan Zanes is the other alumni who has played at every festival and is such a treat to see. Zanes’ genius is that he frames himself and his band as a children’s group, but then plays songs that beautifully re-frame Americana (and Mexican!) classics. This move — as well his assemblage of a top-notch band who offer their own unique contributions — makes his music not only palatable to an older audience but truly a joy to experience. Indeed, me, my wife, and our three kids danced the entire hour that he was on stage, our kids in the cutest little micro-mosh pit you’ve ever seen up front and us from our seats a few rows back. Before seeing her strong performance as My Brightest Diamond, I met Shara Worden the day before when she sat down on the polished hardwood floor in front of me a few minutes before Chris Thile and Michael Daves hit the stage, apparently just as giddy as I was to see them. We talked briefly about her appearance at the festival a few years earlier in the amazing audio/visual performance art piece The Long Count. She plays a swan in that piece and, based on her performance opening for Richard Thompson the next night, it appears that Ms. Worden is incorporating more and more performance art into her own act. She came out wearing a round doll-faced mask, a homemade puffy orange and pink cape and, two circle mittens (one with a plus on it, the other a negative) and then danced through the first prerecorded song. It would have been bizarre if she wasn’t so instantly charming. She then graced us with her arresting and exquisite voice and five new songs in a much-too-short set. Notably absent from those songs was a guitar and she played, instead, ukulele, auto-harp, keyboard, and an African “sanza” thumb-piano. Awkward for a guitar festival, she admitted, but she told us that her new record (out in October) has no guitar on it. Nevertheless, she concluded with a beautiful guitar lullaby to her son who was born earlier this year. Having just grooved at Dan Zanes with my own kids, I don’t think I was the only one struggling to keep dry eyes. Richard Thompson was also great. It was my first time seeing him play and his legendary status is well earned. I have rarely seen an artist with such command over the guitar. He played what felt like an impromptu set of songs that ranged from gorgeous and carefully picked laments raucous Celtic/sailor pub tunes. It was a great first introduction, but I couldn’t help but think that Shara was robbed a bit of at least 15 more minutes of play-time. I want to be careful how I couch the criticism in this next bit. Two of the festival’s big-draw artists were blues legend Taj Mahal and the funk and soul steel player Robert Randolph and his Family Band. Taj’s show was sold out, and by the numbers present at Randolph’s, it must have been close as well. Clearly, these men and their bands are worthy of the praise and attention they receive, and certainly (especially in Taj Mahal’s case) have made a lasting impact on musical history at large. The draw of Big (loud) Blues, however, is diminished by its ubiquity. Taj Mahal is incredibly important to the tradition and Randolph successfully expands and spins off from that tradition. 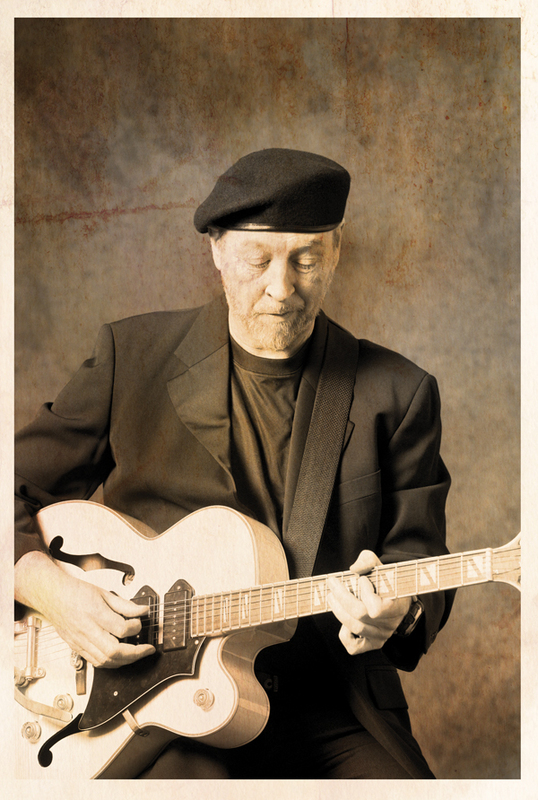 The former’s credibility has been certified by his long career, so its very interesting, then, that he was upstaged by his openers The Carolina Chocolate Drops and (to a lesser extent) Alvin Youngblood Hart in performances that were much more sonically diverse. The Chocolate Drops are phenomenal. Their music, though usually drawn from 20s and 30s recordings (and in some cases sheet music hearkening from an even earlier era) feels fresh and vibrant and new. Their stage-presence has both whimsy and authority. They, as I think is proven by the current upsurge in popular “roots” music, represent both the past and the future of blues interest and exploration. 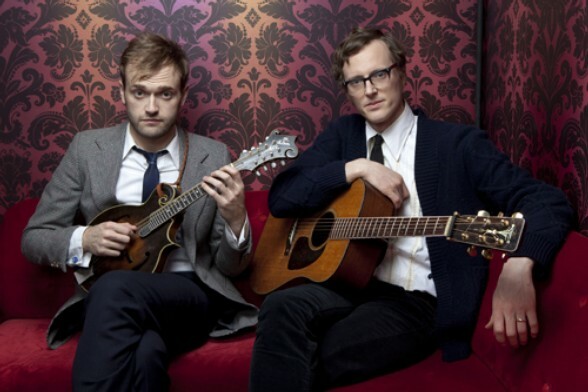 As a perfect case-in-point, I conclude the highlights reel with mention of the incredible duo Chris Thile and Michael Daves. Their wonderful (and free!) afternoon performance in the packed lobby of the Krannert Center was a spectacle of the best kind. Thile and Daves recent collection of bluegrass standards Sleep With One Eye Open is one of the gems of 2011. In the tradition of Sugar Hill’s 1980 release Skaggs and Rice, the now-classic guide to old-time country duets, Sleep With One Eye Open is a magnificent history lesson on record but becomes something completely different when the musicians are right there in front of you plowing through those runs and solos. Live, the songs lay bare the raw talent of the players making it clear that the stuff on the record isn’t a careful assemblage of production craftsmanship. These dudes can really play. They covered a good portion of their record as well as pausing for a moment to take “fiddle-song” requests from the audience. The best moments being Thile’s heartfelt “Bury Me Beneath the Willow” about the loss of a love paired with the devastating Daves adaption of the traditional (but Grateful Dead-revived) “Rain and Snow” about, well, murdering your wife. How’s that for dichotomy? Also amazing, “Sleep With One Eye Open” and the rousing “My Little Girl in Tennessee” each showed off the musicians’ virtuosity and power over their instruments and voice. Another element that is only hinted at on the record is the incredible chemistry between the two musicians. Chris’s easy wit and Michael’s straight-man candor are perfectly suited for each other. During the performance the two were usually to be found looking right into the others eyes — likely to make sure cues, harmonies, and lyrics matched up — but it gave the performance a kind of unity that is generally just not part of the typical performer/audience hubris. It was my favorite hour of the weekend. Only two small disappointments come to mind. The first was that the Tony Rice Unit who were scheduled to play a free performance just a few hours before Thile and Daves set cancelled at the last minute. Rice’s step-son died in a car accident several weeks ago, and the organizers explained that Tony himself called to cancel saying that while they planned to make it work; he just wasn’t ready yet to resume his tour scheduling. That kind of disappointment can’t be helped, though. The other let-down was related to the opening night being billed as kid-friendly. While there were a few kids there taking advantage of the few activities scattered around the lobby, the phalanx of people — many of them older, less kid-friendly attendees holding precarious plastic cups of wine and half-shouting “be careful!” as my kids squeezed past — made “family fun” a bit difficult. So while I would have liked to enjoy the opening festivities a bit more, that inconvenience was more than outshone by the festival at large. Ellnora was such a privilege to attend and in two years, I’ll be returning.